Navigate to the People tab using the Main Menu. Critical students, meaning students who have failed two of their last five submissions or they are failing the course, and/or have 30% or more of gradable items past due. How students are performing against each learning out come. Course Progress (percentage of course material completed). Within the people tool, one can see students' self-assessments. Within any course students have the option to self-assess on three categories: understanding, interest, and effort. For each course, the People tool provides color coded "dots" that indicate student performance and pace. Below is the color key for each. 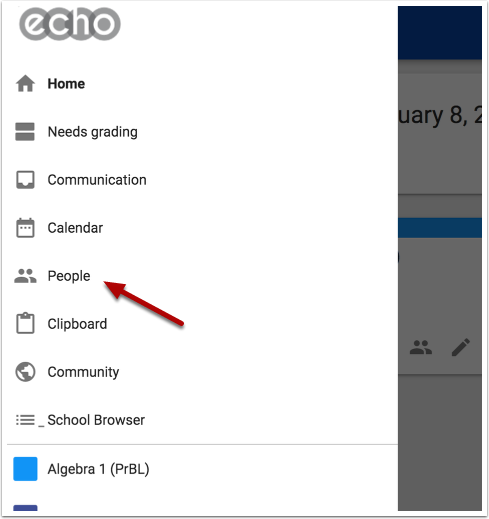 Create groups in Echo to facilitate student collaboration. The Clipboard tool enables you to take quick coaching steps from any page in Echo.